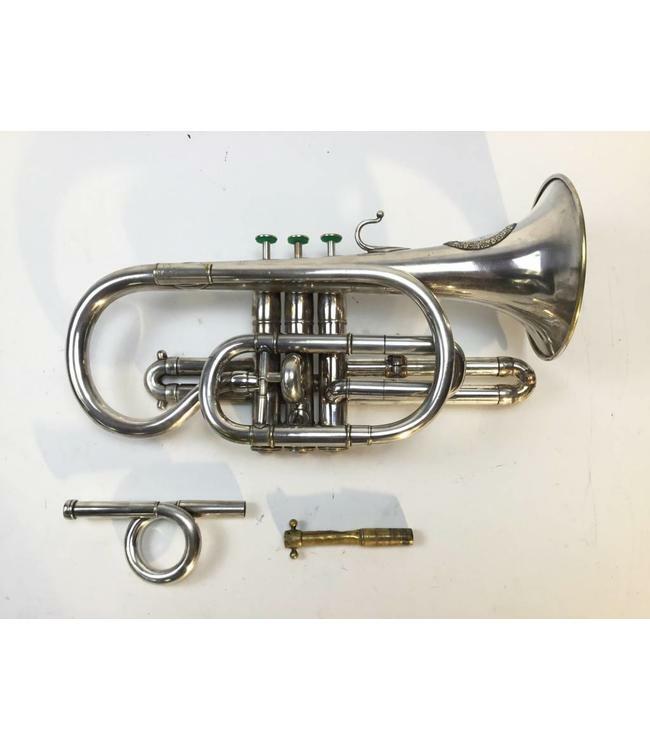 Used F. Besson Brevetee Bb Cornet in silver plate circa the 1850's. Bell engraving: 7 Rue des, 5 Couronnes, Paris. Instrument is in good condition for age with plating wear at contact points. Includes 2 leadpipes (straight and pig tail), original case and period style mouthpiece. Sold as is.